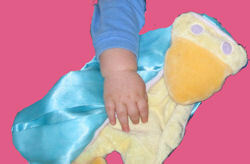 I’m looking for a Manhattan Sue the Duck satin and plush blankie that looks like a duck, with light blue satin on one side and yellow plush on the other. 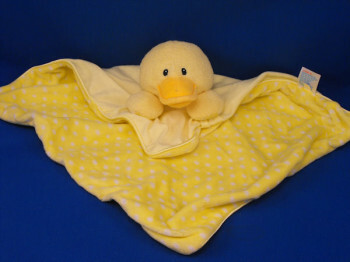 I’m looking for a 2012 super soft yellow 10 inch? 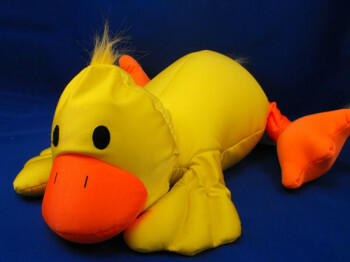 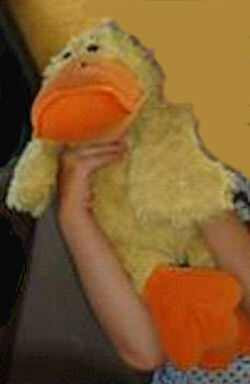 duck with a orange beak and orange feet that came hugging a yellow blanket with tan dots. 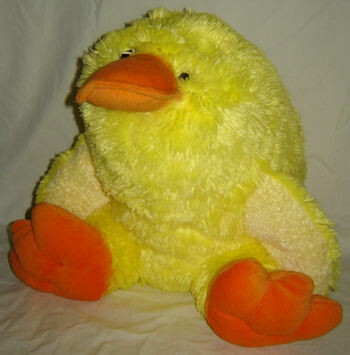 I’m looking for a 16 inch floppy, fat SKM Enterprises seated duck in yellow, with orange beak and feet, and another in purple. 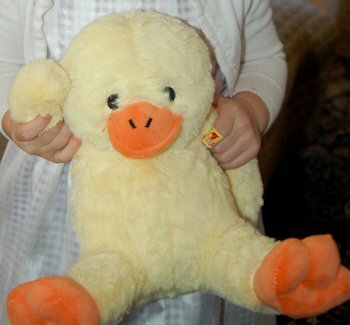 I’m looking for a plush duck like the Brentwood MOSHI Microbead yellow lying down duck with wings, an orange beak and feet and a yellow hair tuft and tail.